Look, love is weird, you guys. 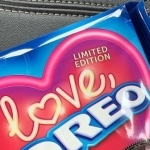 That’s why I’m in the backseat of my car taking a picture of these new “Love, Oreos.” These are limited edition with a sweet & tangy creme (yikes). If they taste anything like conversation hearts, then I would like to have a conversation with the person responsible for them. 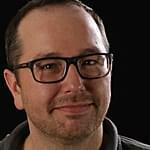 I can’t wait to hate these. Found them at Giant but they will be at Target and probably other stores.